CME is working to help you access new markets and expand your business in existing ones. Our priorities are: removing barriers to trade; creating a level playing field; and helping you succeed everywhere. A dynamic exporting sector is critical for our future success as a country. 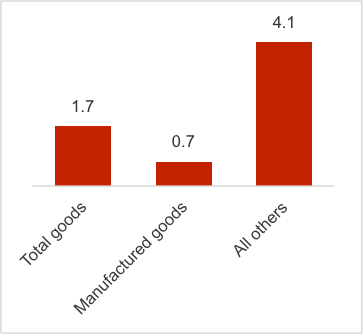 Exports drive growth in output and profitability. They also fuel innovation and new product development, and spark investment in new machinery, equipment and facilities. Transportation costs and bottlenecks that prevent timely and cost-effective delivery. These and other issues are preventing Canadian manufacturers from exporting to their full potential and are undercutting their ability to compete at home and abroad. On top of that, businesses are having a harder time than ever navigating international waters. Global trade uncertainty has impacted our business relationship with our most important trading partner, and is disrupting well-established supply chains. The US has imposed tariffs on foreign steel (25%) and aluminum (10%), on the basis of national security concerns. Canada responded with dollar-for-dollar retaliatory tariffs on U.S. steel and aluminum, as well as on several US consumer goods. This dispute threatens manufacturers on both sides of the border. The impact on Canadian manufacturers is significant. U.S. tariffs hurt Canada’s steel producers and disrupted integrated supply chains for steel production. Canada’s counter-tariffs impacted Canadian users of U.S. steel imports, and in turn disrupted their sourcing of a key commodity. These effects filter up through manufacturing supply chains and result in higher costs for producers of a wide range of goods. Safeguards to protect against steel diversion and dumping into the Canadian market. We are continuing to work with the government to simplify the distribution of funds and address any gaps in support. Ultimately, our goal is the complete elimination of Section 232 tariffs and Canadian countermeasures. The Government of Canada has shifted its trade policy to focus more on export diversification. This has resulted in the rebranding of the Minister of International Trade into the Minister of International Trade Diversification and the adoption of a formal trade diversification strategy. results in incremental export growth. A diversification strategy offers little benefit if it comes at the expense of integrated North American supply chains, or merely substitutes one export destination for another. They do not undermine the existing integrated manufacturing supply chains developed through previous FTAs, especially the NAFTA/USMCA. We are also working with governments to ensure that SMEs can benefit from these agreements by: improving access to market intelligence; creating better export-readiness programs; and simplifying government supports. The CPTPP is a new free trade agreement between Australia, Brunei, Canada, Chile, Japan, Malaysia, Mexico, New Zealand, Peru, Singapore and Vietnam. Once ratified, the CPTPP will provide Canadian exporters with access to a market with 495 million people and a combined GDP of $13.5 trillion. The CPTPP will provide Canadian businesses with significant new export market opportunities. When it enters into force, Canada will be the only G-7 country with free trade access to North America, Europe, and Asia-Pacific. Provisions that address non-tariff barriers, investment, and intellectual property protection. Lowering the domestic business cost structure to improve export competitiveness. Make government supports more relevant and easier to access.